Technology provides us with endless possibilities to create immersive learning experiences for our students. Comic creation is one solid example of a digital activity to engage students in creative meaning-making activities. 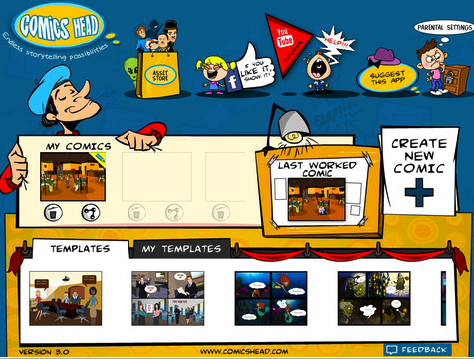 There are now numerous apps that are designed specifically to help learners express themselves through comics. Besides engaging in multimedia tasks that involve the use of text, character building, images, shapes, speech bubbles and audio, comics creation provides students with opportunities to develop a number of key skills such as , communication, group work, digital storytelling, writing and many more. 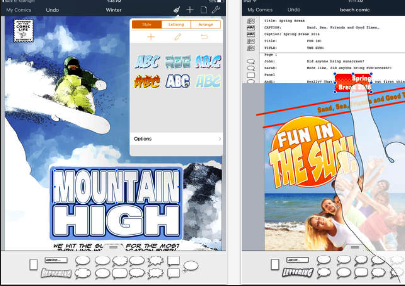 In the collection below, we have selected for you four of the most popular iPad apps for creating comics. 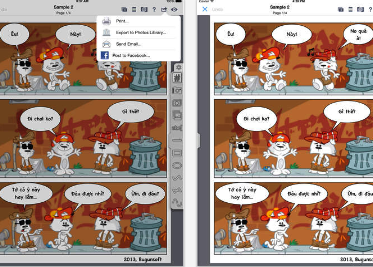 Comic Life 3 is a great iPad app students can use to create photo comics. They can either use photos they have on their devices or access photos on the web using the integrated Flickr functionality. They can then work on these photos using a variety of editing features that include: speech bubbles, templates with numerous panel layouts options, photo filters, comic lettering, shapes, shadows and many other effects. Final productions can be printed in various page layouts and shared via social media websites, AirDrop and iTunes File Share. 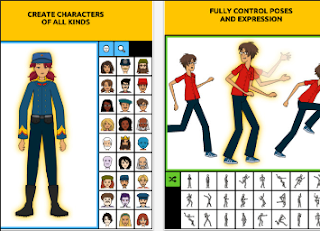 This app provides you with almost the same features you will find on Pixton on the web. Students can use it to create beautiful comics using a wide variety of materials that include: preset backgrounds and characters, stylable text, captions and speech bubbles, flexible layouts and access to a library of over 2000 objects. To use the app, students need to sign in using their Pixton account. This is another great iPad app for creating comics. Using simply drag and drop and an intuitive editor, students can easily create expressive comics to share with others. Some of the main features provided by this app include:’layering function to combine images, text, backgrounds into one storyline; 42 pre-made page layout templates along with option of portrait/landscape mode and paper size; pre-made image gallery with various characters at your disposal; fully gestured functions to zoom in, zoom out, rotate, resize, drag-drop image, text, draw objects;support export comic file to other formats for sharing: PDF, PNG, JPG and many more.